Add Italian Sausage to Ratatouille for a different skillet meal starring the glorious vegetables available in high summer! So I researched, and discovered the State Farmer’s Market here in Raleigh, and indeed a local friend showed it to me as a Local Highlight. It’s open seven days a week, year round (and because it is under a roof, rain doesn’t stop us from going!) It is not, of course, within walking distance (which doesn’t seem to be a concept, here) but the drive is reasonable, once a week. Though I have just discovered, oddly, that we are in the same agricultural zone here as we were in Manhattan, Zone 7b, that is only a measure of winter hardiness. (We saw this year how cold it can get!) In general, the weather is warmer, spring comes earlier, and produce comes in a month sooner than I am used to. At the same time, the market has less variety of produce – but again, I think that is largely a matter of climate. As I have pointed out before, while New York is in Zone 7, farmers routinely drive in from Zones 6 and even 5! Here, we’re pretty much looking at 7… though I understand we will get apples from the mountains. 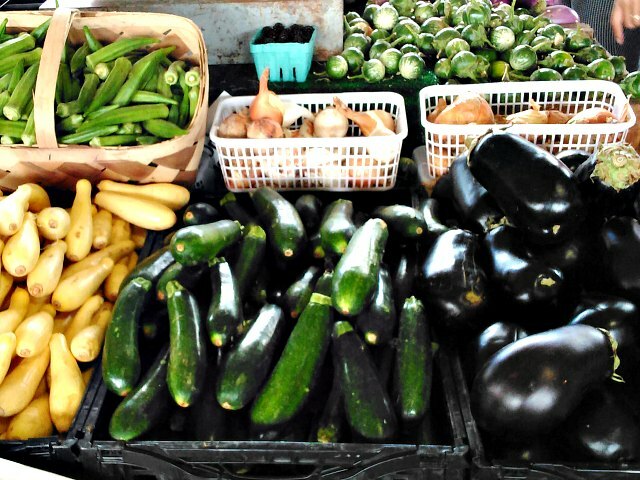 We’ve eaten eggplant and summer squash since June! I’ve made them cornerstones of our summer diet – we all like them, they’re both easy to cook and quite versatile, they stay fresh for a while… But I suddenly realized I actually had not made ratatouille! That was one of the first dishes I ate that Barbara had cooked, back in New York when I first knew the family (when she still cooked regularly) and I know they enjoy it so I had to get on it. But I also had to make dinner… and I planned to use Italian sausage I had in the fridge, and… an idea was born. Ratatouille is, of course, French, rather than Italian, but it’s Provençal – from the land of olive oil and tomatoes. The flavors in fact blend quite well. I did use sweet sausage, rather than hot, with less pepper and more fennel, and simply used it as the seasoning rather than adding much basil. And everyone enjoyed it! Take a large skillet or saute pan and place on the stove over heat. Take one pound of sweet Italian sausage. I had bulk sausage so didn’t have to fuss with the casing – otherwise you can either remove it from the casing or slice, whichever works better for you. Crumble the sausage into the hot pan (or drop in slices) and stir to brown. Once it begins to brown, lower the heat to let the fat render out of the meat. Chop a large onion, and add that to the pan, stirring to coat with the fat from the sausage. (If by chance there isn’t enough – you used chicken sausage, for instance! – add a touch of olive oil first. 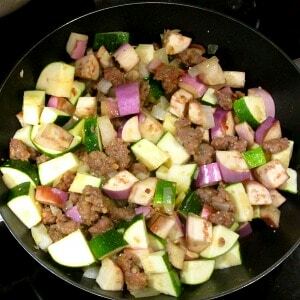 Typically, though, that would make the dish seem greasy…) While the onion softens, chop the zucchini and eggplant, stopping periodically to give the sausage and onion a stir. 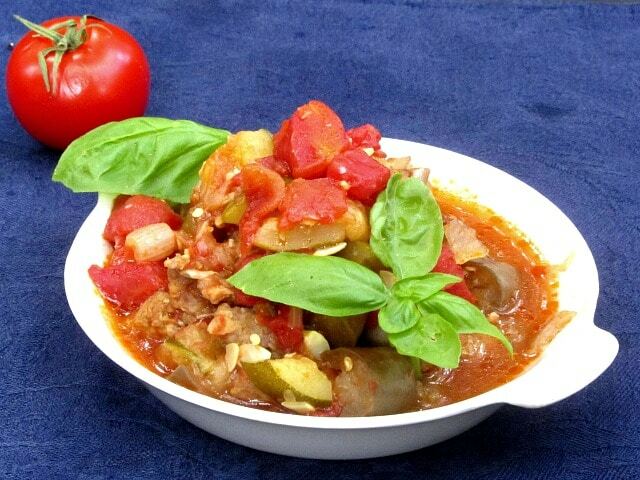 Once the onion has softened and started to become golden, add the chopped zucchini and eggplant. (Note: traditionally ratatouille includes green pepper. 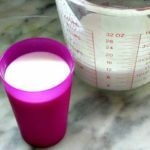 I never used it, because my mother was allergic to it and I still lived with her when I learned to make the dish – and as it happens, Barbara also cannot eat it. 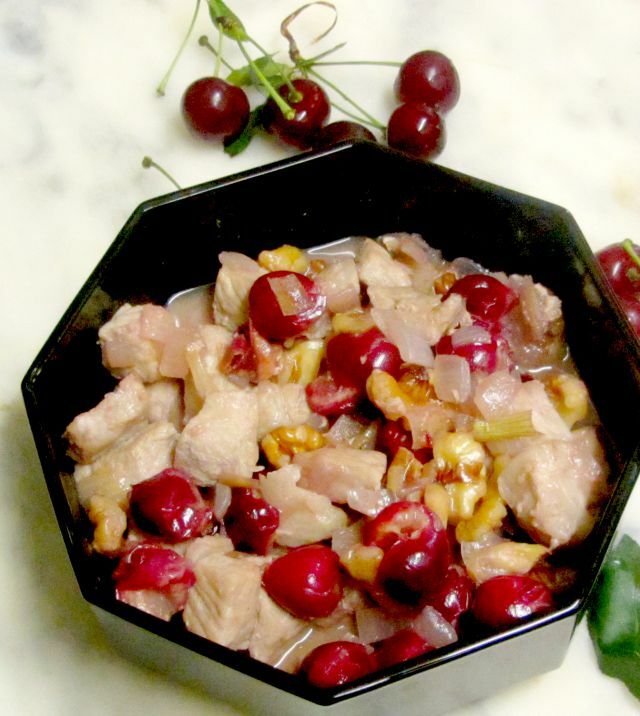 Add some if you want it… but this is a variation anyway, rather than the traditional recipe.) Stir well, and saute briefly. Now, if you have fresh tomatoes and want to use them, go for it… I have not seen plum tomatoes here, yet, and have only bought big beefsteaks to put on sandwiches for the parents, so I used a can of diced tomatoes. So either open your can or dice your fresh tomatoes, and stir them in. Now, this is optional – I’ve discussed the fact that they like sauce… and for various reasons it works better if instead of merely serving a saucy dish I actually give them sauce in a sauce boat to ladle over their food. So I added a quarter of a cup of water – which also did help everything come to a simmer more quickly. Do so if you like. Simmer for at least twenty minutes, though you can go half an hour if the timing works for you, until all the vegetables are tender and the flavor has melded. Then serve at once. 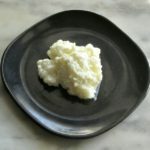 If you want, remove the solids with a slotted spoon to a serving bowl, and pour the liquid into a sauceboat – and use that sauce over polenta or pasta, as a side dish. I chose to garnish it with fresh basil, and then actually sliced it as a chiffonade to serve, but otherwise just used the seasoning in the sausage, which was in fact enough. 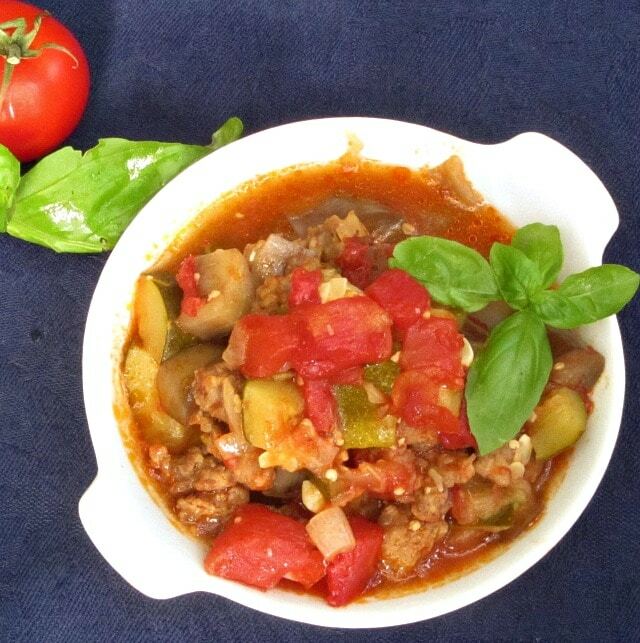 The flavor is slightly different than a traditional ratatouille, but close enough to recognize – and the family enjoyed it. I made polenta and a salad while it simmered, you might enjoy pasta. All together a good weekday meal that tasted more complicated than it really was. 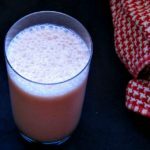 The recipe is quite moist and even juicy – and even more so with the extra liquid added. 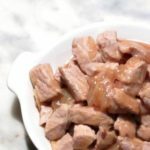 If chewing or swallowing are issues, do crumble the sausage into the pan in little bits, rather than slicing it – slices can be harder to manage. 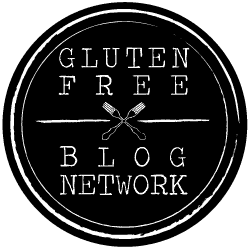 *Disclaimer – I am not a medical or nutritional professional, and this blog does not give medical or nutritional advice. I merely share my own experience. Place a large skillet over heat. Crumble Italian sausage into pan, stir to start to brown. Lower heat to render out fat and let meat brown. Dice onion, add to pan. Stir to coat with fat, then saute until onion softens and starts to turn color. 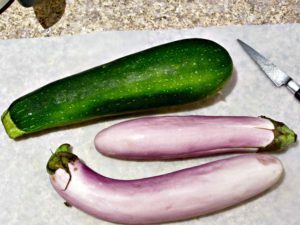 Cut zucchini and eggplant into bite sized pieces. Add to pan and stir. Add can of tomatoes. Optional:add 1/4 c water, if you want a sauce. Simmer 20-30 minutes until vegetables are soft and flavor melds. Serve at once. If you choose, spoon any liquid into a sauceboat to pass separately. Change is always scary but usually, we'll end up growing and discovering new things and this is the case here. You were able to not miss NY too much by knowing about Raleigh's agriculture and now you got this super great looking meal. I might try this without the sausage, thoug. What a hearty dish! My family would love this. 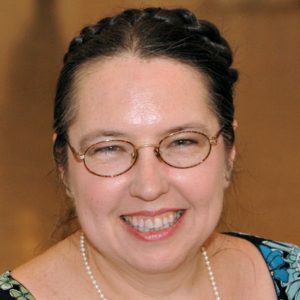 So interesting to read about your move to N.C. I grew up in Eastern NC and moved to Richmond a year ago and to us this is big city living! I love cooking in season, and this looks like the perfect way to use fresh summer produce. Can't wait to hit up the farmers market this weekend! 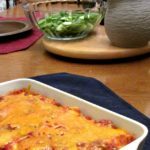 This is a perfect keto dinner recipe. Thanks for sharing! Yum, this looks like the ultimate comfort food, but healthy!! Can't wait to try it! All those summer vegetables certainly do look glorious! I love eggplant and zucchini, but would want a little more substance for a main meal. 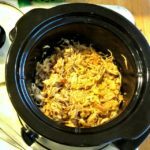 I love that you added sausage to bulk it up a touch and infuse some additional savory flavors. Funny! I just moved from downtown Kansas City to a town south of Raleigh ... and boy have a struggled with the lack of ... well ... everything. BUT! I'm trying to make the best off it. I've made a pact with myself to venture to Raleigh on a Saturday to explore the market - I'm bummed that the produce is limited there like here (I was spoiled with the City Market in KC), but I'm hoping to learn and grow from this! Your recipe sounds awesome - I'll have to try it with our local / regional produce! This would definitely be a great way to utilize fresh, summer produce. This recipe looks so hearty and healthy, too. I eat mostly vegetarian these days, but I would definitely love to try it with and without the sausage. I love ratatouille! I took four years of French in high school and my senior year we had a potluck with French dishes. It was the first French dish I cooked and it started a lifelong love of the cuisine! 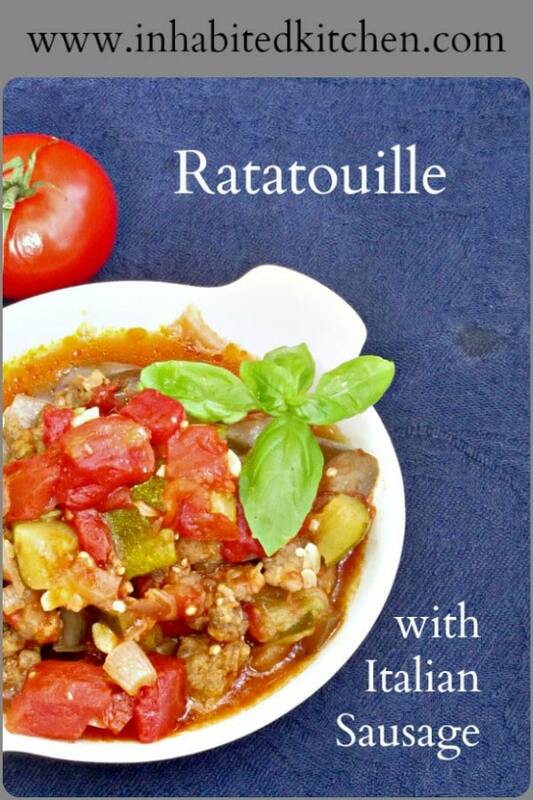 I've actually never had Ratatouille before but this one sounds delish! I'm going to have to make that this fall! That farmer's market looks amazing! Gosh I need one of those near me!! This looks like a great summertime meal! I am going to add this to my menu for the week and adjust my shopping list to accommodate it RIGHT NOW!! I LOVE ratatouille so much. We make several variations of it when this time of year rolls around. I can't wait to try your take on it – we've never used sausage before!